Horizon Square Ayub Khan, Choupla Road, 64, Civil Lines, Bareilly, Lucknow - 243001, UP, India. At Horizon, our core policy is zero compromise towards quality. Be it location, infrastructure amenities or pricing, we strive to achieve excellence in all the facts that go into building a great and happy home. Using our rich experience, we want to take home building to greater heights and introduce our customers to world class facilities. At Horizon, we want to change the face of Group Housing in UP and NCR through our superlative projects. 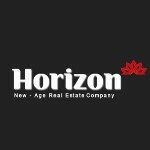 Horizon has the primary goal of fully satisfying its customers' desire to invest and find their dream homes.